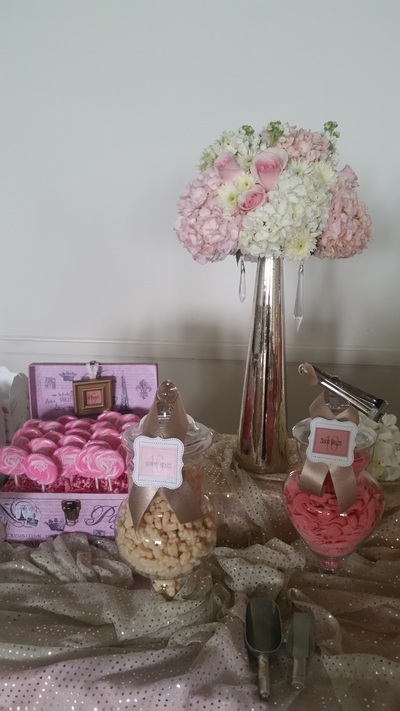 Thank you for your interest in Cre8ive Cake and Candy! We are here to make your experience stress free and wonderful. Cre8ive cake and Candy has very competitive prices! 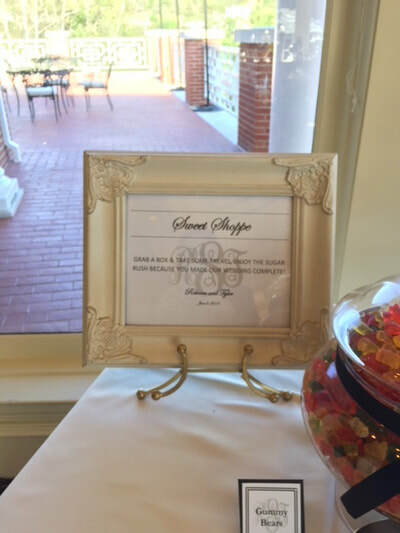 If someone beats us, we will give you a better quote. Also, if you are on a budget, let us know so we can work around it. 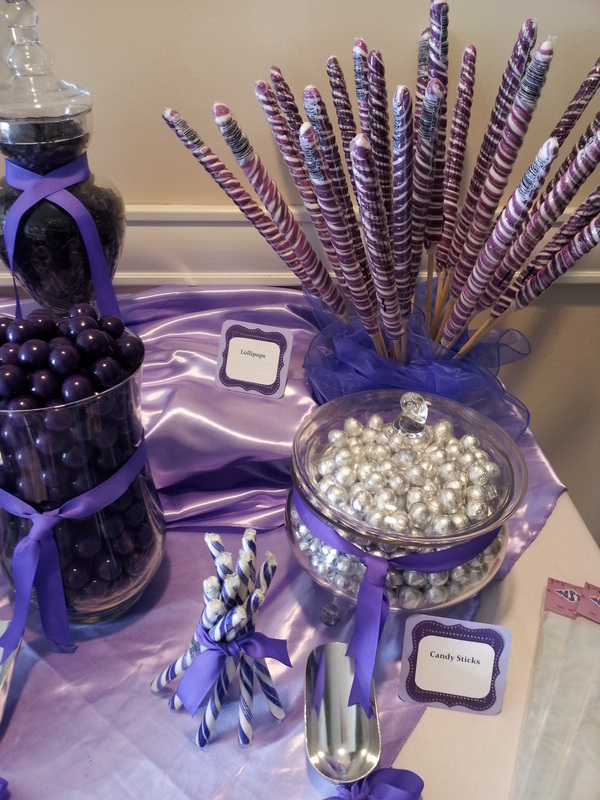 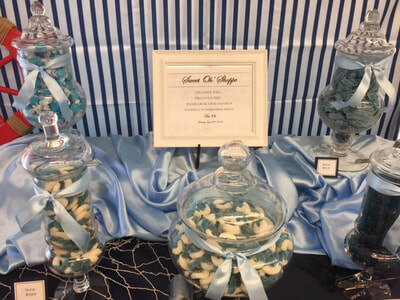 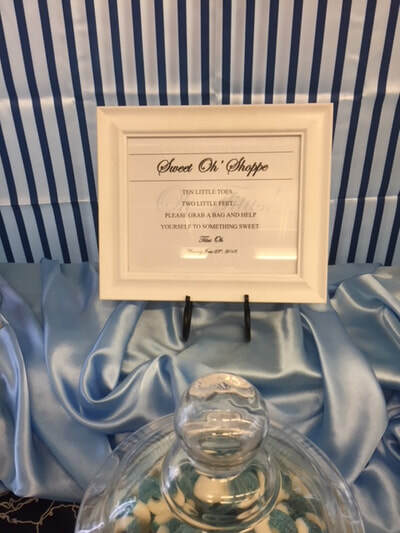 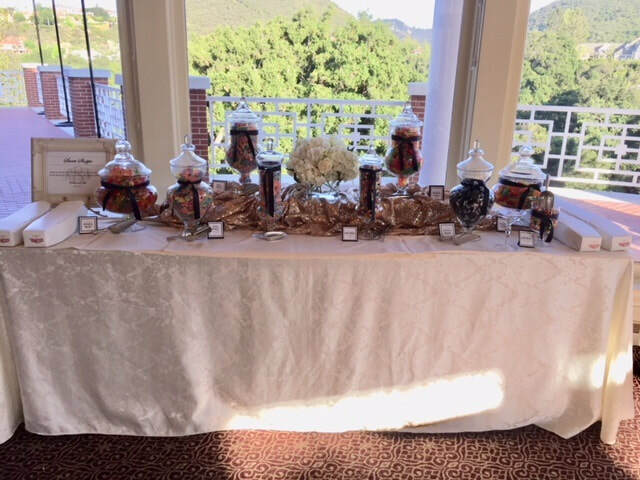 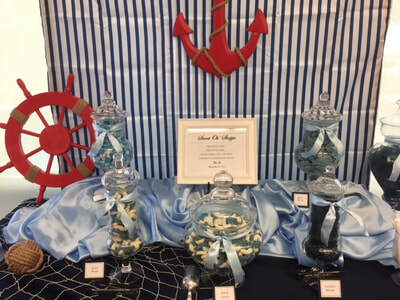 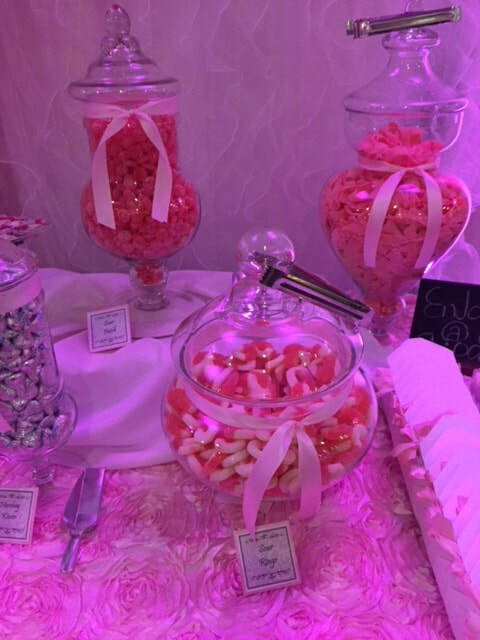 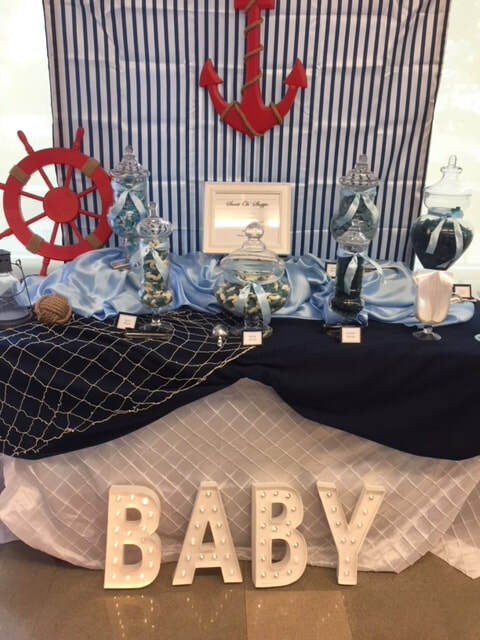 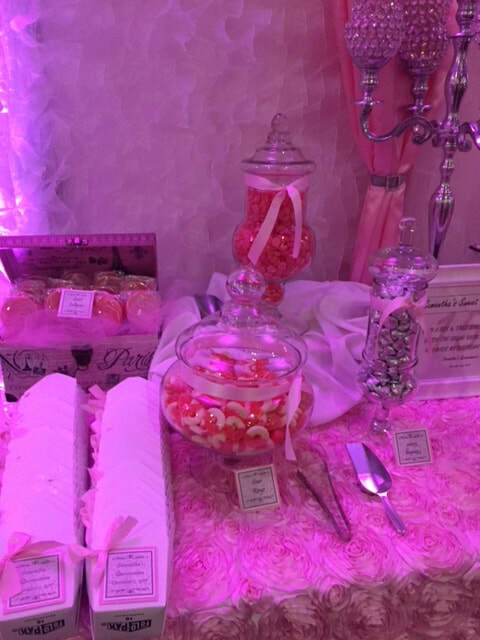 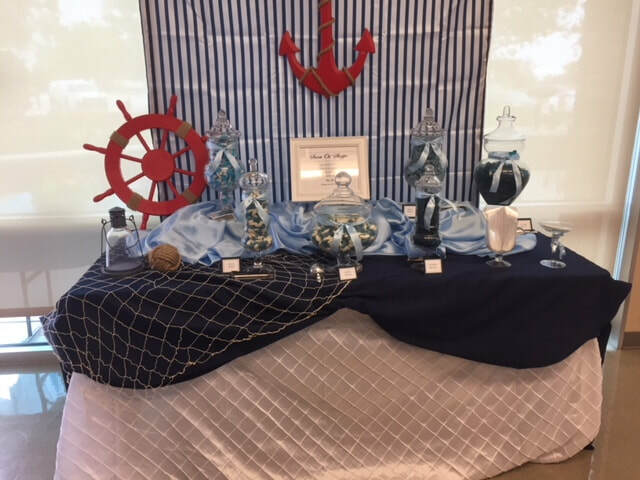 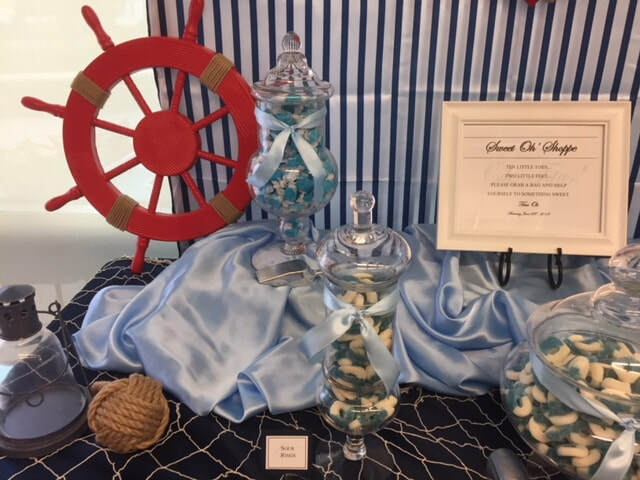 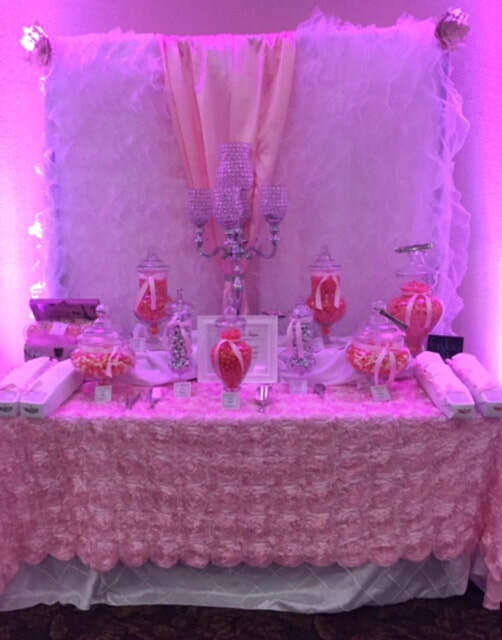 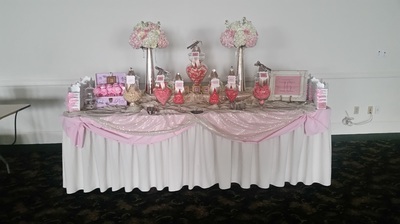 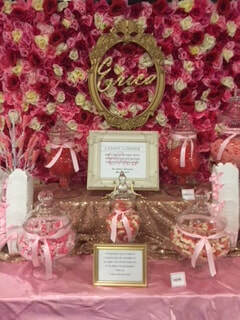 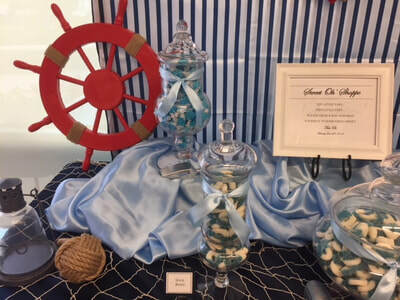 Guests' eat with their eyes first, so a super sweet and deliciously looking candy table or dessert bar can be a whimsical addition to any special occasion or event. 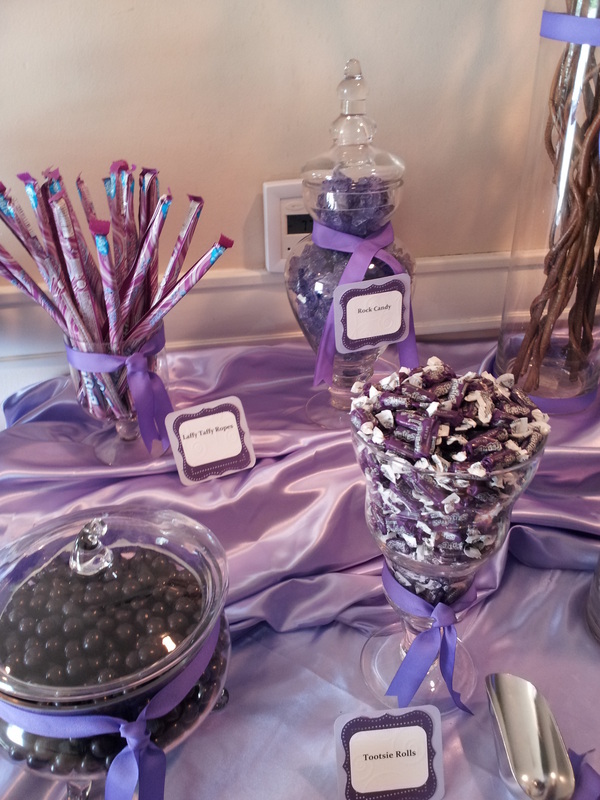 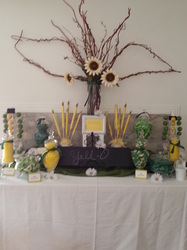 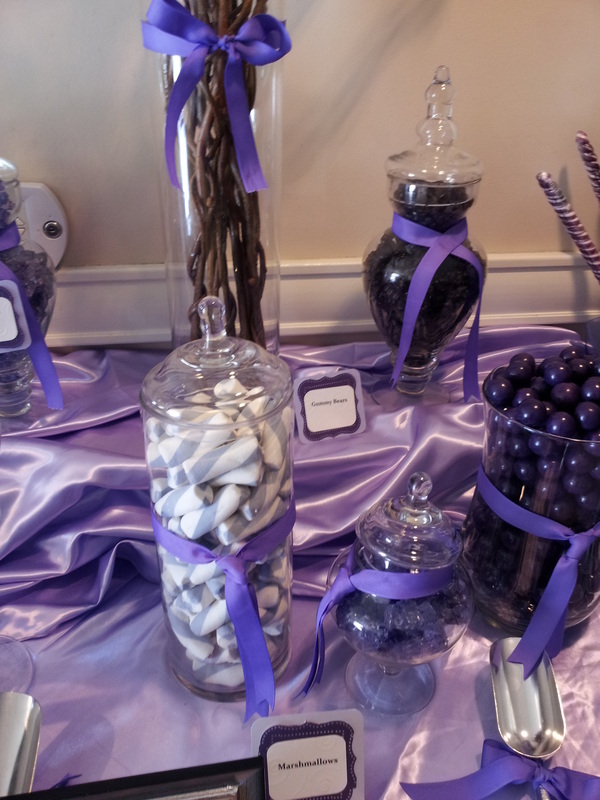 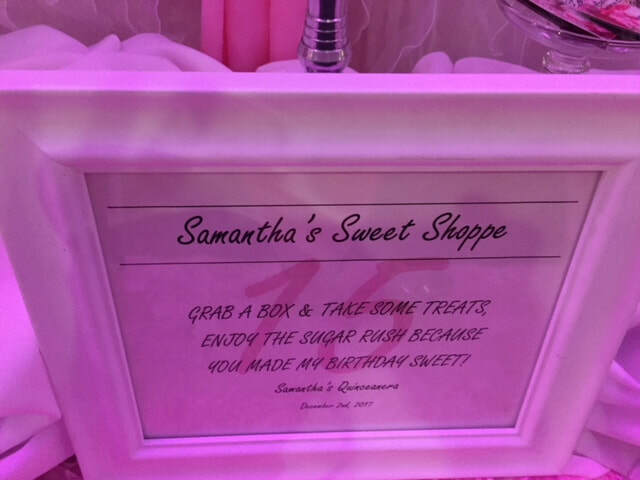 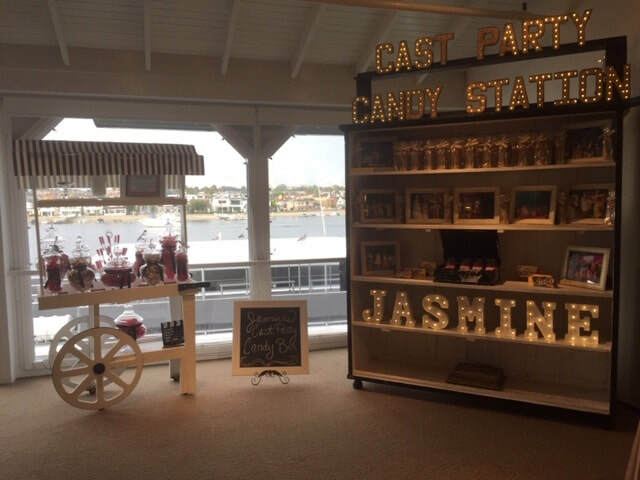 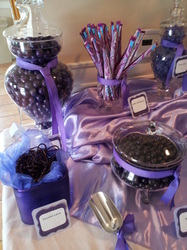 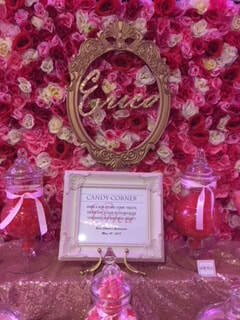 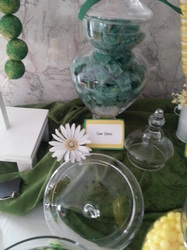 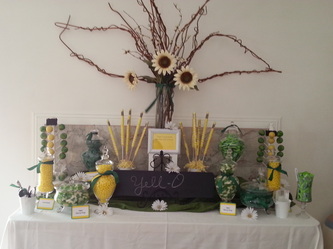 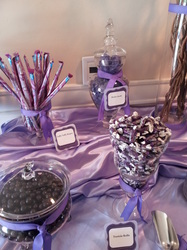 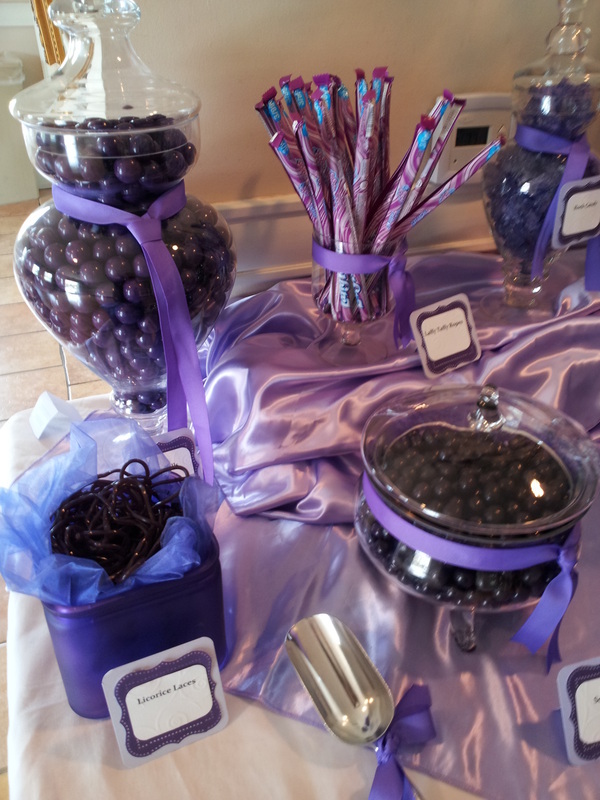 We simply love designing custom candy buffets that accentuate the décor and atmosphere of a room. 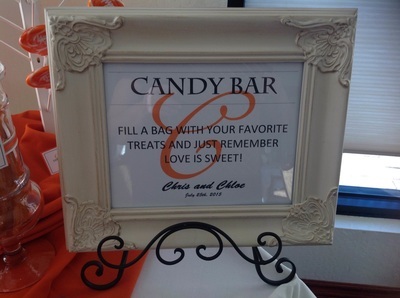 Leaving the ultimate lasting impression. 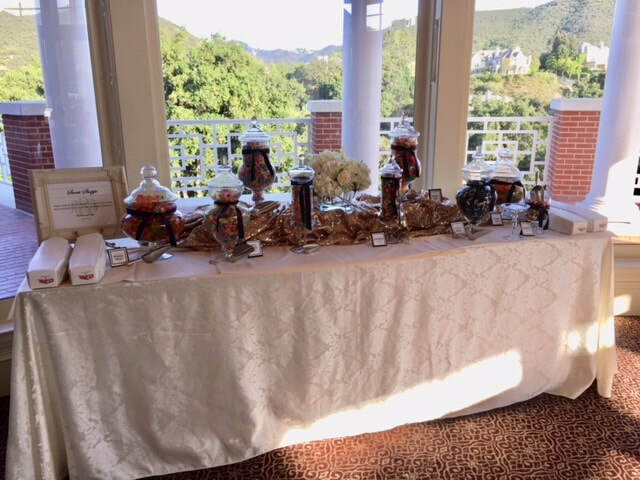 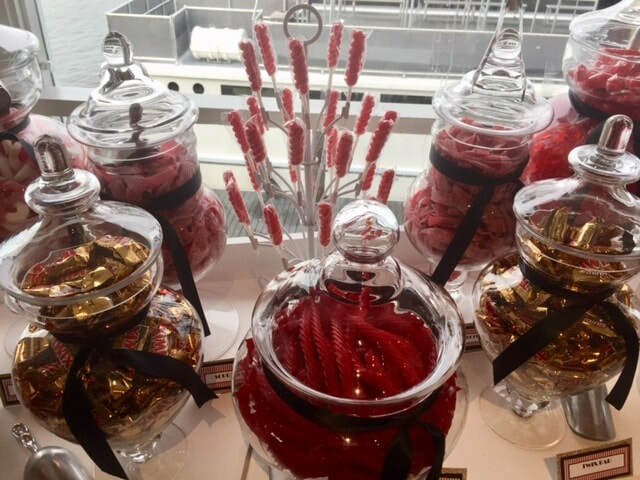 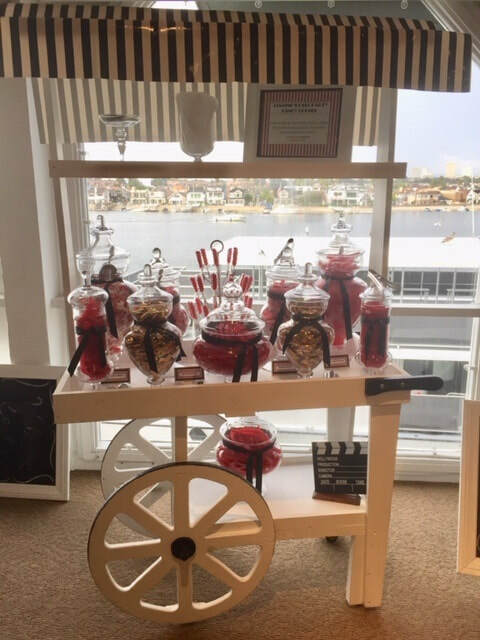 Whether your planning a large gathering or a small soirée, we can design the perfect candy buffet, dessert bar or sweet table to fit your needs. 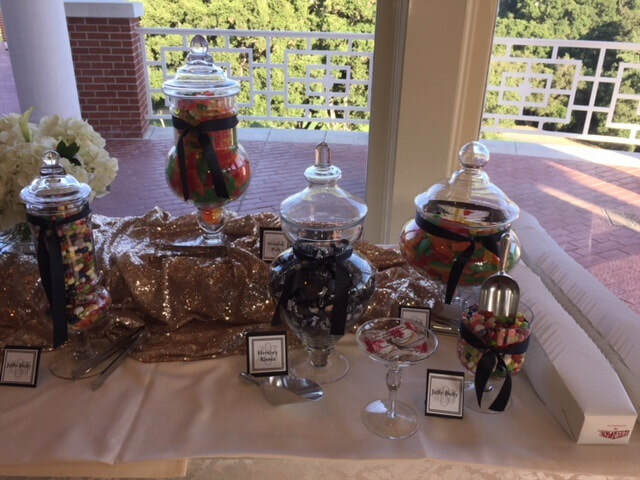 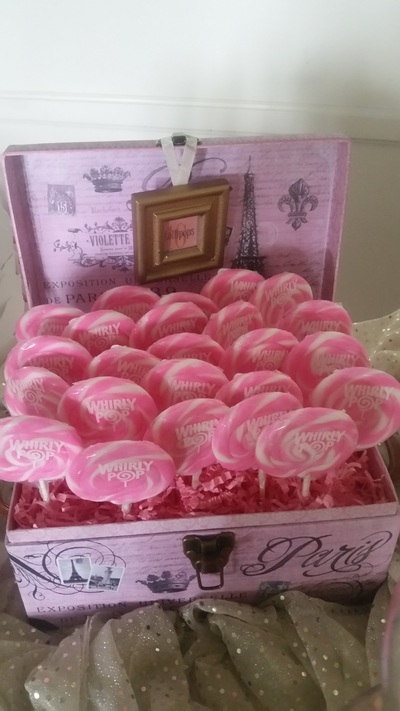 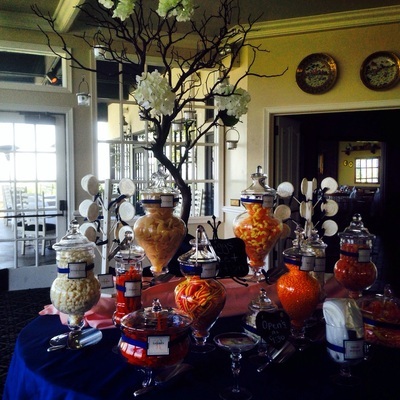 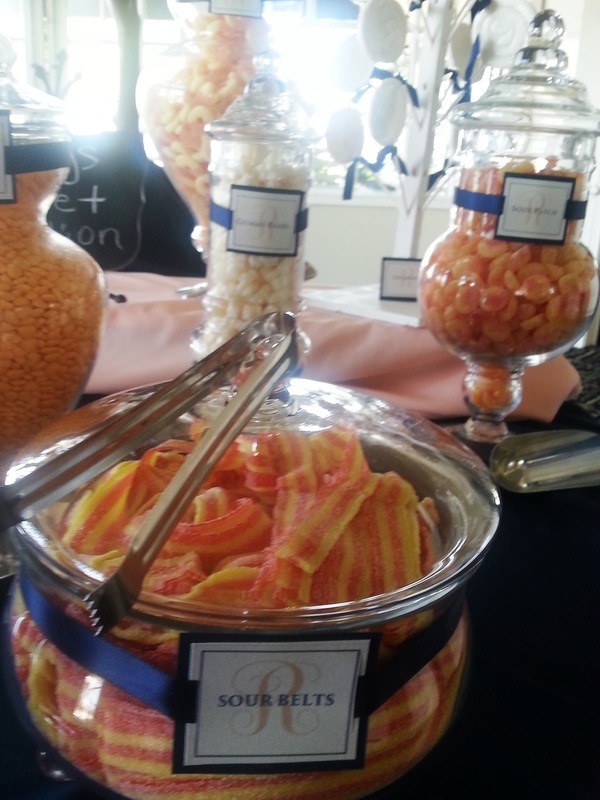 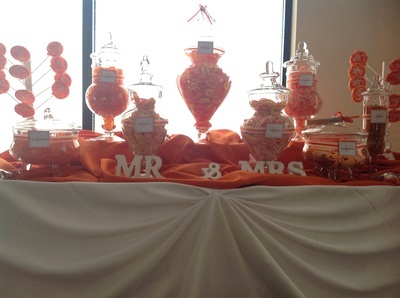 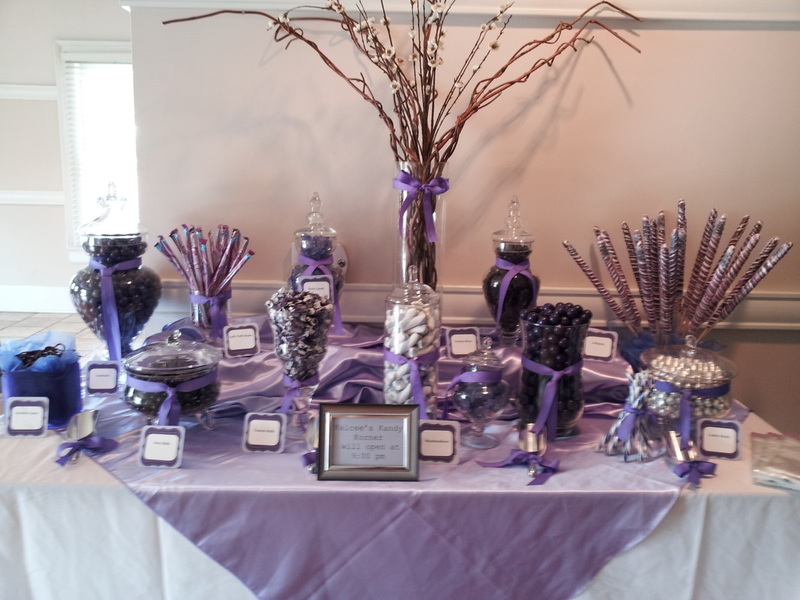 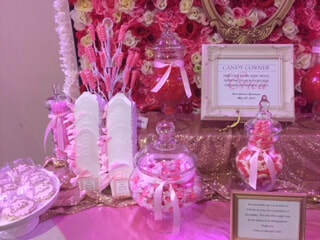 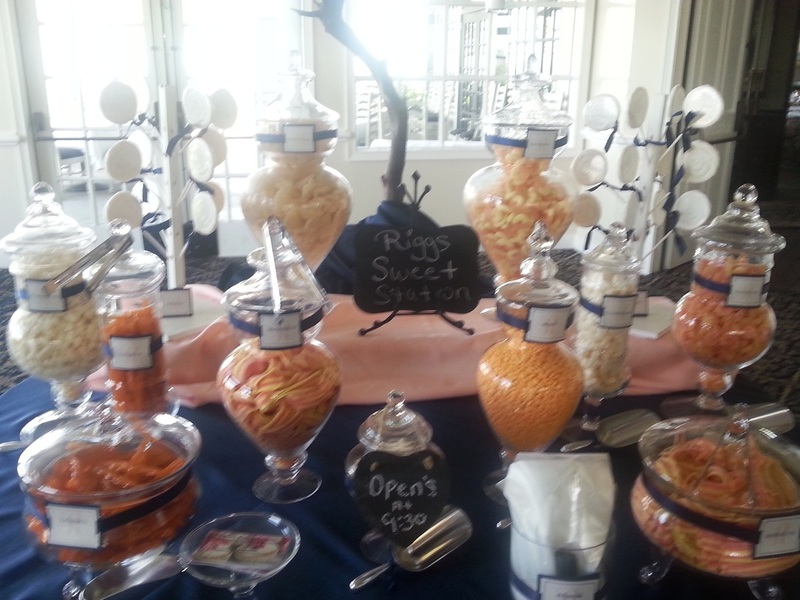 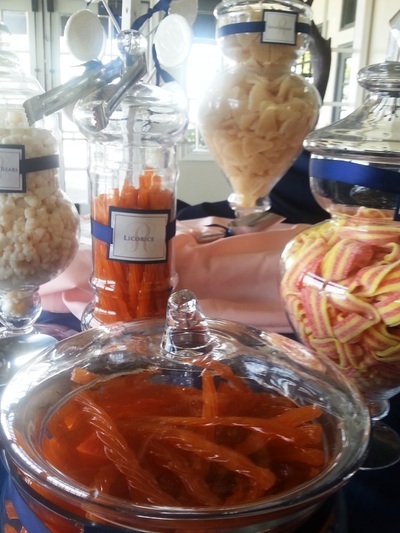 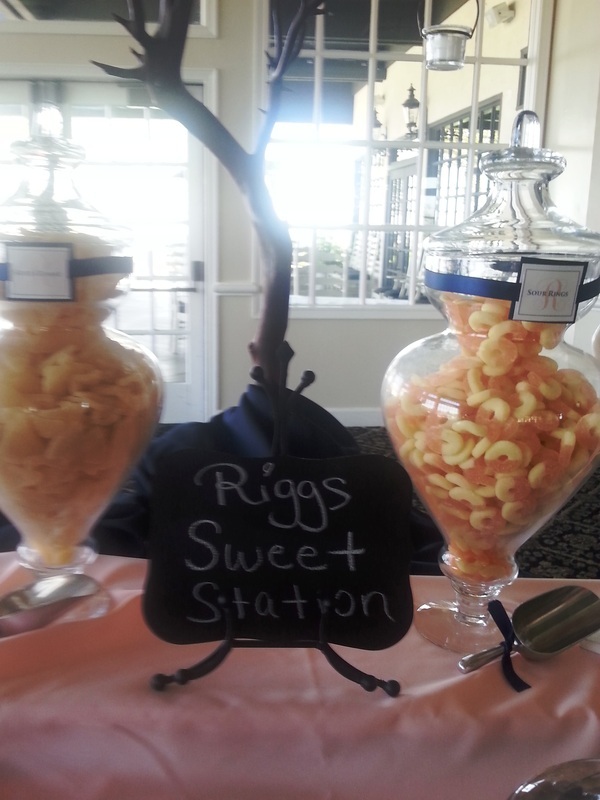 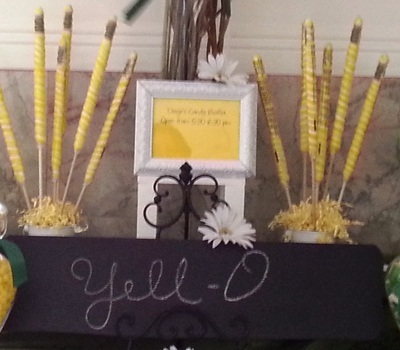 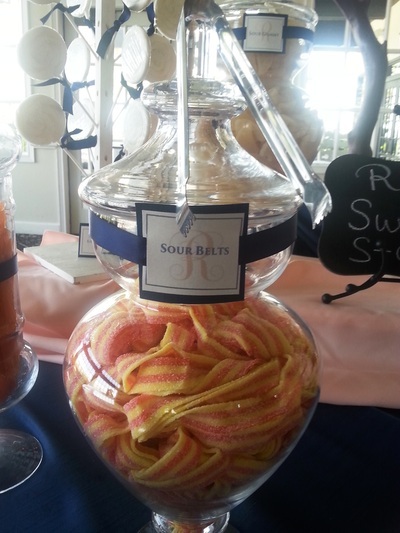 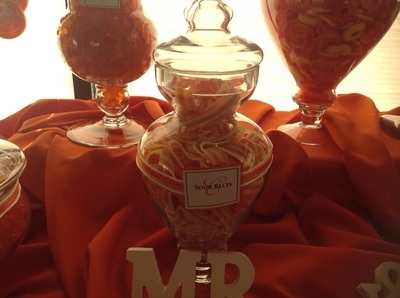 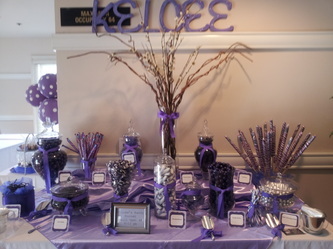 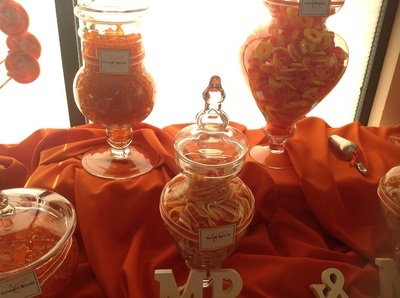 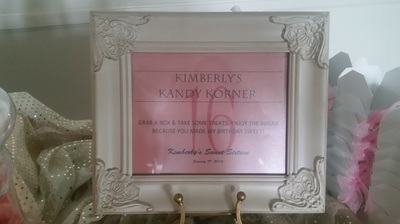 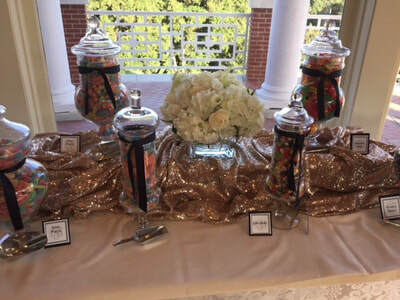 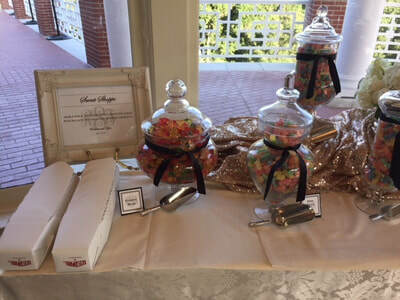 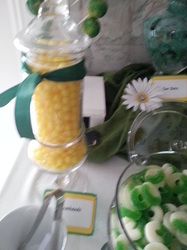 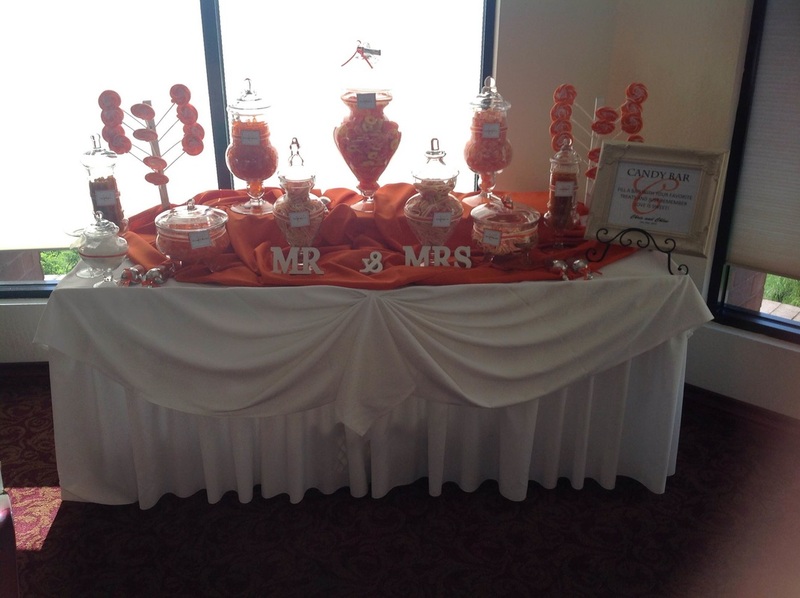 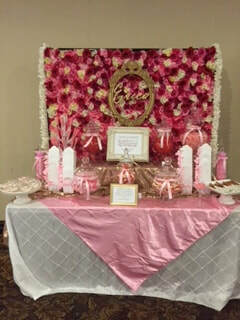 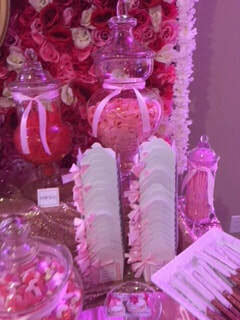 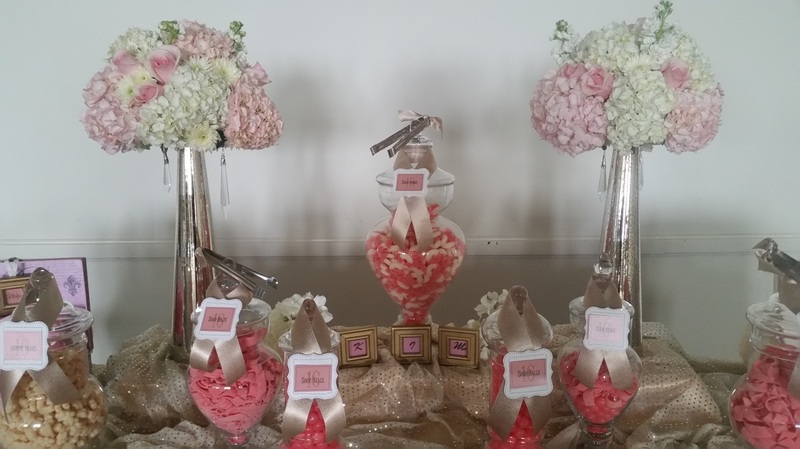 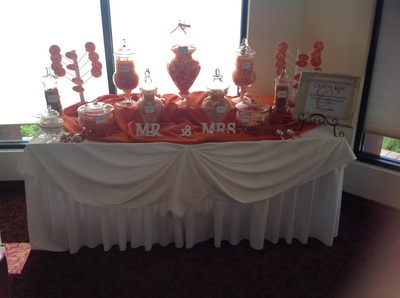 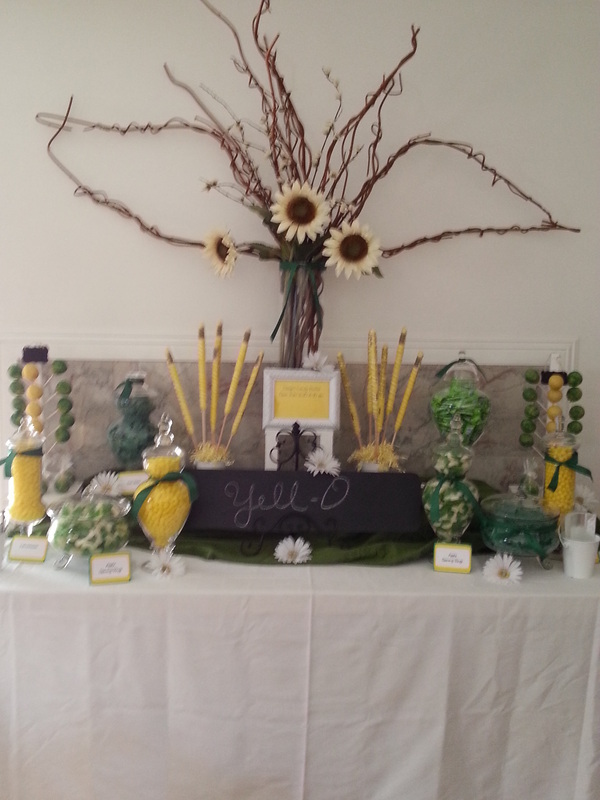 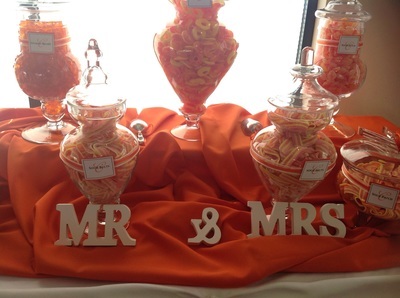 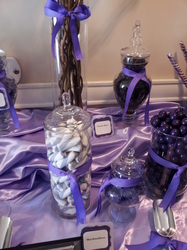 Our candy buffets can be a gorgeous decoration at your function as well as a dessert. If you have any question concerning deliveries, pick-ups or prices, please don't hesitate to contact us. Leftover candy is yours to keep! 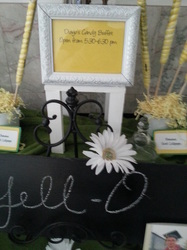 Payment in full is required to reserve your event date. 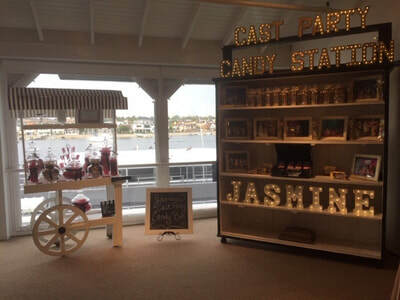 All event services must be cancelled two weeks prior to event or product reduced one week prior to event to avoid a 50% restocking fee on reduced items. 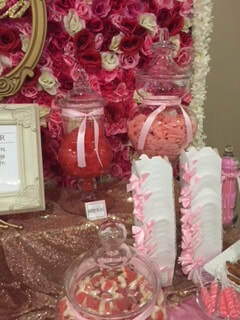 Additional product must may be added 72 hours prior to event. 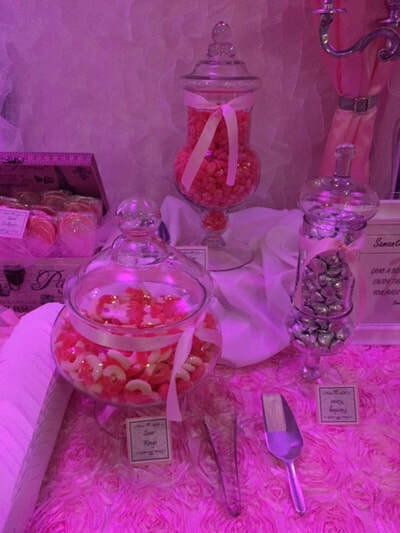 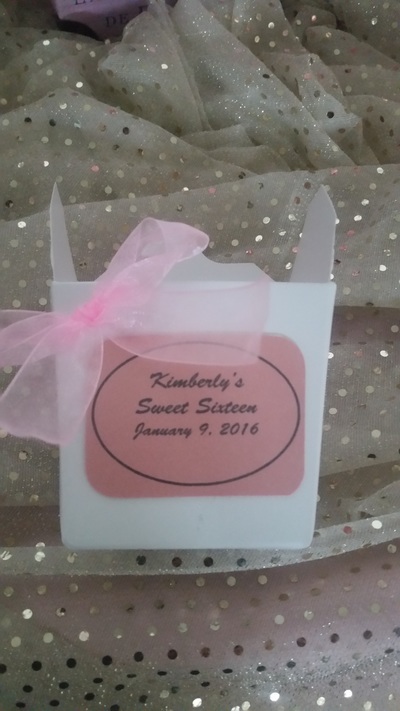 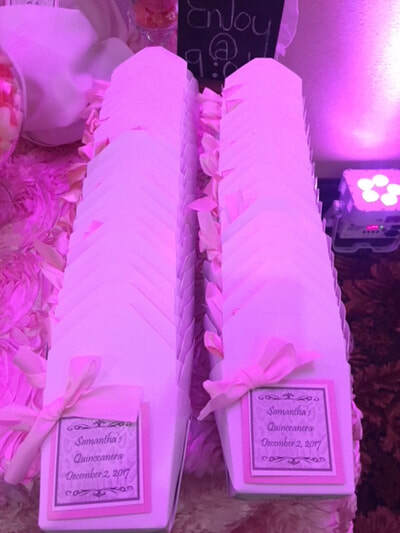 Candy highly depends on colors, so we cant guarantee what candies will be available before hand unless it is a multicolored event, however we can do our best if you would like to suggest a few or a category such as "sour" or "Gummy". Please keep in mind some candies only come in specific colors for instance lemon heads are only available in Yellow. Also keep in mind that even if there is a item you may not care for, all guests are different and have different likes, one thing is for certain...you won't have any complaints and you won't have candy left on the table.